Making the decision to join a gym is a great first step towards improving your health and quality of life. At Prairie Athletic Club, we are here to help make your gym experience fun, effective and easy for the entire family. For over 40 years, Prairie Athletic Club has been dedicated to giving people a great fitness experience while helping people of all fitness levels reach their goals. Our constant improvements and construction have helped us reach over 250,000 square feet of facilities, including an indoor soccer field, our own CrossFit box, new Sol Yoga areas and our huge outdoor waterpark Dolphins Cove. Whether your goal is to stay in shape, lose weight, get fit for an upcoming event, or have a wonderful place for your family to enjoy, we are here for you. 2 YEAR GOLD COVE SIGNUP BONUS: Save $10 each month of membership dues for your first 12 months. 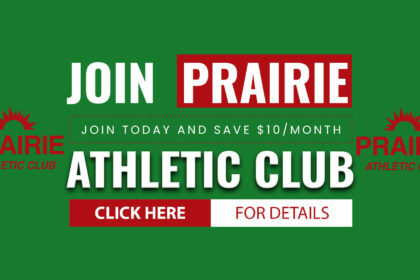 Prairie Athletic Club offers exciting, top-notch classes that focus on long-term results for our members. If you’re looking for something different, don’t be shy, go for it! Check out the classes we offer and find one that suits you. Try one or two and see why so many people get such great results from PAC Fitness! The group fitness classes are included in our Gold Memberships. Good vibes abound in our Unlimited Class Pass, where everyone is welcome to sweat it out together. Get challenged to push your limits with calorie-torching cardio, martial arts, yoga, conditioning, cycle and more. All included free with your gym membership. Our Unlimited Class Pass includes: SOL Hot Yoga | CrossFit | BogaFit | Barre | TRX | Cycle OPS | MX4 | Masters Swim | Bootcamp | Pilates Reformer | Spray Tan. Need a little extra help to get in your best shape? Get the most from your gym time. From setting goals to customizing your workouts, our personal trainers at Prairie Athletic Club draw on proven strategies to ensure you’re moving in the direction you want. Or check out our buddy group training program and team up with your gym mates. Our trainers will provide the fun and challenging program while participants motivate each other to achieve success! Tired of going to your Yoga only studio? Sol Hot Yoga is a studio that wants every Yogi to feel welcome regardless of gender, age, fitness level or flexibility. We are a studio where our main goal is to be on top of our members needs and wants. We are always catering to our members and which classes fit the best in a fitness club setting. We are not a studio that cares what brand of yoga clothing you wear or if you can do arm balances and twists that make you look like a pretzel. We simply want our members to feel comfortable on their mat and just be able to honor the space they are holding for themselves. 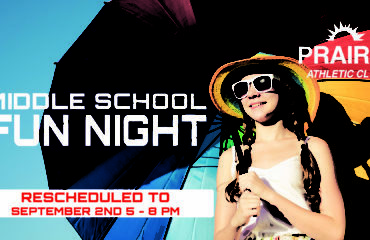 Our studio is located inside Prairie Athletic Club, so you and/or your family can enjoy all the facilities. It may be hard to believe, but our gym has a CrossFit Box inside it! Okay, but what exactly does that mean? It means we vary our workouts so that we can prepare for many different physical challenges, focusing on highly functional movements (movements you do in your daily life) like squatting, lifting, pushing, and pulling. All CrossFit workouts are based on those functional movements, and those movements reflect the best aspects of gymnastics, weightlifting, running, rowing, and more. Our goal is for every CrossFit Vultus athlete (when you come in our box, you’re an athlete) to work at an intensity that is challenging for them, but also to able to perform the workouts SAFELY. We aim for every movement to be as skilled and safe as possible.